One thing I love about the internet is that you meet people you’d probably never meet in real life. Either they are mired in a different profession, live halfway around the world, or are of a poles-apart generation. There are lots of facets to you, no doubt, but of equal certainty, one of them bears the hallmark of a warrior. I like that — a lot. You’re the best. Oh, I so needed to hear those words, especially from someone I admire, like Rob. When I posted a new rule to the group a few days ago telling the members they were not allowed to discourage other writers, Rob was the lone dissenter. Not that he thought it a bad rule, more that it was too specific, making new rules for other offenses probable and ultimately chaotic in the same way the tax code has become incomprehensible and unwieldy. To that end, he posted a kind of Screwtape Letter to break the rule without breaking the heart of it. (The Screwtape Letters is a satirical and spiritual novel written by C. S. Lewis.) Rob’s letter was just as satirical. And written off the cuff in a few minutes. Oh, my. To be so talented! In other words, by writing a letter to discourage authors, Rob actually encouraged us. Even I have the urge to write! Thank you, Rob, for letting me post your wonderful and witty piece. Didn’t know “a while” should be two words? Then maybe you should quit. After all, writers write. Everyone knows that! … spot-on English, but a lousy tale? You’ve bills to pay, are already retired (and surely way, waaay too old), are caring for an ailing loved one, and gawd! there’s those kids to raise, have been told you’ve no talent—and they were right!—are better at doing this, or that, or the other thing, but not really writing. And you already know that. The many rejection letters have proven it. The challenges never end: all that marketing, Facebooking, blogging, websiting, plugging, blurbing, and what-the-hell’s a tweet? And do remember, even if you’re successful, even if you were to write the Great American Novel, like with Harper Lee, I’ll make sure your troubles never end, with exploitation, impossible schedules, horrible critics, IRS hassles, and crazed number-one-fans just waiting to hobble your ankles. I’ve no stomach for writers. They’re human, yes. Some are ugly, some are fat, some have this disorder or that, some are indefatigably optimistic, while others are suicidal, there’s writers with talent, many with only a smidge, some want to publish, some do not care, but all are drawn to the page, compulsively or intermittently, but drawn all the same. They are dragon fighters, archers, brave men and women (even when they do not know it), courageously putting down what others are unable or unwilling to put down. Do me a solid then and quit. I might even give you a break now and then—just to show my thanks. With both fiction and non, writers illuminate on the human condition, and I most certainly do not want that. About Rob M. Miller: With a love for reading and writing that started in his youth, Rob has traveled far to get to the place where he can now concentrate on breaking into the horror market. 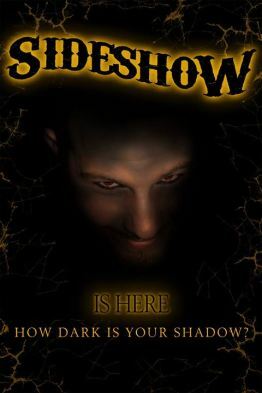 Rob edited and contributed to Sideshow, a horror anthology. We run into people for a reason, don’t we? Rob M. Miller. I’m a forever fan. “I hate writing … but love having written.” — I believe that is attributed to William Zinsser. Among other things, he edited John Updike. He is not a “primadonna”, which is, according to Merriam Webster, two words. You do know this is satire, right? That the errors were intentional? And the quote is generally attributed to Dorothy Parker. She might not have been the first one to say it, and she certainly wasn’t the last. In fact, I’ve said it myself. Well, post scribble, I’ll claim satire too. Zinsser’s comment was prefaced by something (poor paraphrase) that “Writing is hard work! I hate…” etc. and followed by something like (another poor paraphrase) “…having written” he knew that the hard work of editing and re-writing resulted in a polished piece he could be proud of. I misread the satire and had to jump in and defend Zinsser – whom I truly love. The last I knew, Mr. Zinsser – now in his 90’s – was still coaching young (and established) talents in his NYC apartment. Great post, Pat. I wouldn’t have said anything except that Rob is a guest here. You can contradict me all you want here on this blog, and I’ll smile and take it. He wrote the piece because I banned discouraging words in my group, so Rob, being the quintessential rebel, had to prove me wrong. Yes, claim satire. Why not? Works for me! Another Second Wind author described writing as a mental prison. That fits with the hard work part, for sure! And probably why I stick to blogging. Shorter prison terms.